On November 7, Los Angeles Unified’s two newest board members will face early tests of their commitment to changing the district’s culture as it relates to how it views and relates to the charter schools it authorizes. The LAUSD staff is recommending the board vote to close highly successful, existing charter schools serving thousands of high-need students and deny charter school petitions for new school despite the quality of education they provide. That information alone should be enough to demonstrate how far down the wrong path LAUSD has traveled when it is willing to close successful schools because of bureaucratic disagreements. For years, the board has lamented the existence of charter schools and treated them as unwanted competition, placing onerous conditions on approval and roadblocks to sustainability, like the year-to-year facilities agreements that make life hard for schools and their parents and are part of the current disagreement. The previous board went so far as to spend time and money trying to figure out how to keep kids in district schools, including launching a unified enrollment system this year that excludes charters. People not inured to the dysfunction that often characterizes the district-charter relationship find this attitude ridiculous. These are all public schools within the district that exist to meet the needs of students. Parents don’t want arcane governance debates that get in the way of focusing on kids. 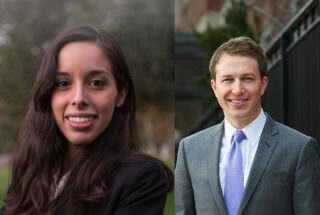 Nick Melvoin and Kelly Gonez were elected, in part, to change the culture around the district-charter relationship. Melvoin said last week that he would like the district-charter relationship to transition from a “compliance-driven mindset to one of creativity and collaboration.” In order for that to take place, he and Gonez are going to have to set the tone. If they follow the staff recommendation and vote to close successful schools for the most “compliance-driven” reasons possible, it would only exacerbate the current dysfunction and send a signal to parents that educating children is still subordinate to bureaucratic mandates. Melvoin and Gonez need to demonstrate they are going to place the well-being of students at the top of the priority list when it comes to which schools open and which schools close. By bucking the staff recommendation, they can set a new tone of collaboration and unity by demonstrating an end to the old “us versus them” paradigm and embracing all successful schools in LAUSD, not just the ones run by the district. Collaboration, creativity, and partnership among all of LAUSD’s public schools can only occur if there is bold leadership from the board demanding it. There are too many old wounds scarred over by years of battles between charters and district bureaucracy to expect change without it. Voting to keep schools open because they do a good job educating kids is a great first step in signaling that anyone who is in education for the benefit of kids is welcome on the same team.